Seen here: Joshua Cheptegei claiming gold at the 2018 FNB Durban 10K CITYSURFRUN. SA’s road running platform received a positive boost in 2015, with the launch of what would become the Cape’s premier 12km road run, the FNB Cape Town 12 ONERUN, an event that proudly caters for both elite runners as well as the mass field. The FNB Cape Town 12 ONERUN provides all the fun and entertainment that the bulk of the field desires, but at the front end, it also provides racing of the highest calibre ever seen in races that are shorter than the traditional marathon and ultra-marathons that are so prevalent in South Africa. An international contingent was added to the mix. The headline name was that of Vivian Cheruiyot, a then four-time World Champion and two-time Olympic silver medallist (who has since then added a World Championship and Olympic title to her name), arguably the greatest runner to race in South Africa. Cheruiyot duly delivered, smashing the 12km in 38:22 (still a course record). Year one was a resounding success with thousands of runners standing on the start line in Milnerton including the likes of Vivian Cheruiyot and Emmanuel Bett putting the race firmly on the international road running scene. 2016 saw the FNB Joburg 10K CITYRUN being added to the portfolio which once again attracted huge masses and elite athletes to the tough route designed. In 2017 Morris Gachaga smashed the World Best time for the unusual 12km distance at the FNB Cape Town 12 ONERUN, clocking 33:27 and taking four seconds off the previous best. The series moved to Johannesburg for the second running of the FNB Joburg 10K CITYRUN which again attracted an impressive field. The Joburg run saw the emergence of South Africans Thabang Mosiako and Glenrose Xaba. Adding to the excitement in 2017 was the birth of the FNB Durban 10K CITYSURFRUN. A top international field and all the best runners in South Africa were contracted with the headline name being that of World 10 000m silver medallist, Joshua Cheptegei of Uganda. South Africa’s Stephen Mokoka’s eyes lit up at the prospect of facing the likes of Cheptegei. “Joshua is a very good racer. I competed against him in London at the World Championships in the 10 000m where he finished just behind Mo Farah. 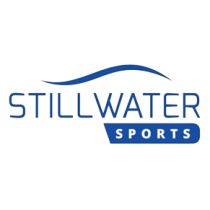 It is great that Stillwater Sports is bringing this calibre of athletes to South Africa. It inspires us.” This prompted Mokoka to make an attempt on his National 10km record which in turn had the organizers dangling a record incentive of R300 000 for the first South African athlete to break the National Record and R500 000 for a World Record. Cheptegei’s attempt at the world’s fastest time was ruined thanks to an unusual headwind on the day. He nevertheless flew to a 27:29 win – the fastest ever run on South African soil. The women’s race saw Mercyline Chalangat clock 31:38 for one of the fastest times seen in South Africa in years. A stacked field in the 2018 FNB Cape Town 12 ONERUN saw defending champion, Morris Gachaga pace for a win rather than chase his record. The diminutive Kenyan held off a strong challenge from countryman Victor Chumo while the women’s race saw little known Jacklyn Chepngeno take line honours over her more fancied fellow Ugandan, Stella Chesang who had just won the Commonwealth Games 10 000m title. The FNB Joburg 10K CITYRUN saw an international contingent line up for the first time, elevating the race’s status. It was the Eritrean Filmon Ande who came up trumps, destroying the course record by 22 seconds, clocking an astonishing 29:27 and dragging the top three under the previous record. South African Irvette van Zyl obliterated the previous women’s record by two minutes. Van Zyl had given birth to her second son in June that year, making her performance even more remarkable. The final race of the year was the FNB Durban 10K CITYSURFRUN. Joshua Cheptegei was back to defend his title. He did more than that, he took 13seconds off his own course record, set a national record, ran the second fastest time of the year and the 16th fastest time ever. In the process he dragged Julien Wanders to a Swiss National Record (27:36). Van Zyl came close to dipping 32min, narrowly missing out by finishing third behind Stella Chesang (31:14) and Mercyline Chalangat (31:33). Van Zyl crossed the line in 32:06. 2019 will be even bigger and better as the series continually strives to improve. It was announced earlier this year that the FNB Cape Town 12 ONERUN had been awarded the IAAF Bronze Label Status, meaning greater exposure for the race on the global stage, stronger international competition and more incentives for local athletes.